Dr. Haiping Che is Senior Vice President of Huawei Technologies, and Chief Strategist on Digital Transformation. He is now in charge of the industry development program about digital transformation of telecommunication industry within Huawei, working together with industry partners to develop consensus about the value proposition of digital ICT infrastructure and its digital operation reference architecture, as the enabling engine of digital economy and the platform of other vertical industries’ digitalization, with the new generation business model and operation model. To let digital telco realize its business potential and telecommunication industry step into a new growing cycle. Since joining Huawei in 1997, Dr. Che has held multiple senior management positions, includingHead of Mobile Core Network,Vice President of Wireless Product Line, President of Application and Software Product Line, CTO of Huawei Software Company, and CTO &Vice President of Carrier Software &Core Network Business Unit, etc. Having involved in Telco industry for more than 20 years and as a business & technology expert, Dr. Chehas participated in a variety of R&D programs on many key business domains, and development kinds of successful products and solutions, such as 2G/3G Mobile Core Network (CS/PS/IMS), VAS Enablers (SMSC/IN/SDP) and application software solutions, like VPMN, Mobile Payment, digital music &video platform etc.. Most of those products and solutions were in the leading position in the industry, like Mobile Soft Switch, OCS/CBS and SDP etc.. Due to his relevant contribution to TELLIN intelligent network system, Dr. Che was awarded the First Grade Prize of China National Technology Advancement in 2005. 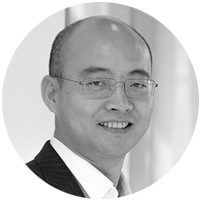 Now he is a key initiator and driver of Huawei Digital Transformation Program to help Telco industry’s digital transformation, and he has been the member of Board of Directors of TM Form since 2010. Dr. Che received his PhD Degree in Automatic Control Theory & Application from Nankai University Tianjin, China in 1997.